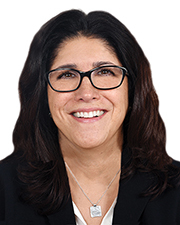 2019 Women in Construction: Andraya Lombardi, Vice President, Project Director at Pinck & Co., Inc.
What are you doing differently in 2019 that has had a positive impact on your career? In 2017-2018 I was diagnosed with stage 2 breast cancer. My journey through this disease opened my eyes to how precious life is and how I want to spend the rest of my life. We work in an environment that is stressful, time consuming and you’re on 24/7. I continue to work very hard for my clients, but in 2019 I learned how to work wiser. Working wiser allows me to not be affected by the drama, personalities, complex egos, but to focus on what’s really important and to put my best self out there. What were your biggest fears when you started out in your profession? Making a mistake. I laugh as I write these words down. Every mistake throughout these 28 years were not mistakes, but opportunities to learn. Lessons learned on any projects are the keys to success on your next project. Being a woman in this field has its challenges and sometimes still feels like a test. We can complain and get frustrated or we can rise to the occasion and shine. These many tests throughout the years have not only affected me, but they have driven me to succeed. I hope all my experiences will benefit my daughters in their career paths. Which project, deal or transaction was the “game changer” in the advancement of your career during the last 10 years? The project that sticks out as a “game changer” was the Beth Israel Deaconess Hospital Expansion in Needham, MA. I had to coordinate the CM, consultants and vendors. The project consisted of the construction of a new emergency department and 20 additional inpatient beds wing over a fully occupied radiology department. The project challenges included planning and analyzing costs to manage construction around site constraints while keeping the hospital operational at all times. I coordinated and integrated commissioning activities including, MEP and medical systems. Managed the procurement and coordination of hospital furniture, fixtures and equipment on behalf of the hospital. What was your first job and what did you learn from it? My first job was in the estimating department for a heavy construction firm. I learned how to perform quantitative take-off using just a scale and a pencil. The position allowed me to participate in negotiated and hard bid deals. I took part in FSB openings as well as rushing to hand in a bid with minutes to spare. A good estimate is the foundation of a successful project. My negotiating skills and attention to details have advanced my career as a project director. Estimating isn’t as pretty as being out in the field, but the skills you learn are priceless. Who are three women – living or dead – that you would like to have drinks with and why? Amelia Earhart not just because I love a good mystery, but because I love her tenacity and her determination. She was the first to fly solo across the Atlantic Ocean. Whether or not you believe in the Blessed Mother Mary I admire her inner strength, unwavering loyalty, trust and compassion. Lastly, my aunt who passed away in 1983 at 31 years old of breast cancer. I would like to tell her about all the advancements the medical field has made on this disease. Tell her how I honored her all these years and how I fought like a girl and won.